Image: An example of the power of Wind Mobile. Sawiris said Canada’s antiquated telecom rules are destined to hurt the economy’s productivity and dampen innovation. “You need to ask yourself, why isn’t Rogers in the U.K., like Vodafone or France Telecom,” he said. WIND Mobile’s intricate ownership alignment shows control by Canadian equity owners but its initial launch was backed by 80% funding from parent company Orascom, owned by Sawiris. 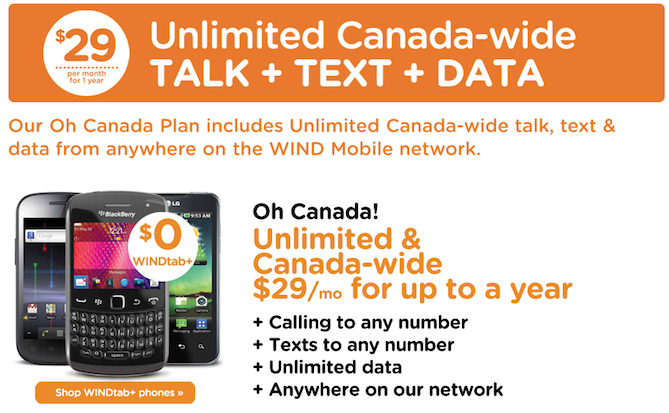 Even though the ‘Big 3’ telcos in Canada complained to the CRTC against this foreign ownership structure, WIND Mobile given the green to launch in December 2009. Since then, the company has amassed 317,000 subscribers (45,000 added last quarter), but it pales in comparison to the combined 23.5 million combined subscribers of Rogers, Telus and Bell. But there’s hope. Orascom recently merged with VimpelCom, a massive Russion wireless company that brings the combined total number of customers to 200 million worldwide. Sawiris notes WIND helped lower cellphone prices in Canada by an average of 30 percent. He also mentions there’s no real competition here as the ‘Big 3’ all have similar revenue numbers coming from each user. Sawaris nailed it. There is no innovation or competition here. Coming off my three year contract with Rogers, my research for a new monthly plan shows a minimum of exactly $70 per month for any voice plan plus 6GB data plan from either Rogers, Telus and Bell. I find it odd the plans are all similar in nature down to the included minutes and features. Every time we see one carrier introduce a plan or price change–the others quickly follow suit. Just look at the 6GB data plan as an example. Marketed as a ‘promotional offer’, it just keeps on coming back time and time again. Will the iPhone Ever Come to WIND Mobile? GOB: Are you satisfied with your handset selection – and what are your thoughts on the next iPhone or the Google/Motorola Android handsets that will come soon? AL: That’s a two-hour discussion right there. On the handsets, no, we’re not satisfied. AWS is a problem for handsets. We don’t have the same selection. It is widening and we have enough, but the range is not as wide as we would like it to be. And of course on the iPhone question, AWS is not supported by the iPhone. We’ll see what happens with iPhone 5, which looks like an October time frame for its release, but I’m not holding out any hope. 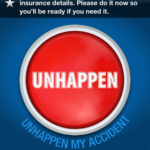 “The adoption of Android that we can see is beyond explosive, so we’re quite encouraged. Six months ago if you’d asked me, I would have said that we look forward to Apple making the iPhone 5 available on AWS. Today, I would say it’s much less important to us as consumers are really jumping at high-end Android phones from a number of manufacturers. If an iPhone is launched to support the Advanced Wireless Services (AWS) spectrum WIND Mobile (and Mobilicity, Public Mobile, Videotron) operates on, all I have to say to the ‘Big 3’ telcos is–watch out. That’s the only thing stopping Canadians from jumping ship and ditching your services (that and our lengthy three year contracts). What do you think? Do you agree with the arguments of Sawaris?